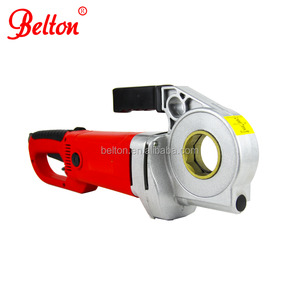 2. it has the features of easy operation, reliable performance and efficiency significantly. 3. 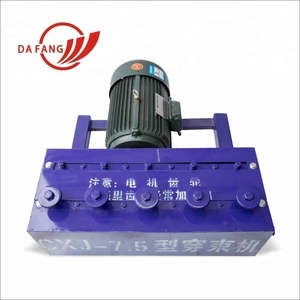 The machine reduces the labour, and widely used for large-scale bridges, and constitutive objects. 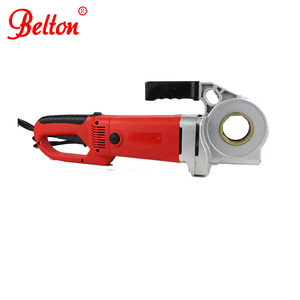 portable electric pipe threading machine Dafng Prestressed Company has been set up for years. 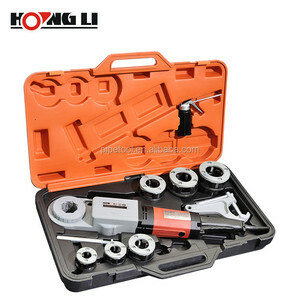 Q: When is your company delivery time9 A: Our delivery time is within 45 days , It depend on your quantity. 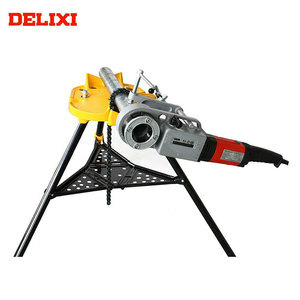 Q: How do we know how to operate the machine9 A: We will send you operating instruction and video of operating tutorial for you. 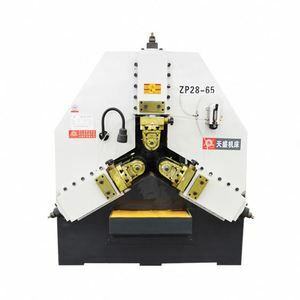 Our company mainly produces large embossing machine, cone machine, rib machine, cutting head and so on and various shaped flower tube mechanical design. 2. 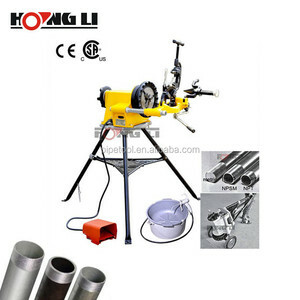 Assist customer to select the most suitable machine, give them our professional suggestion. 3. 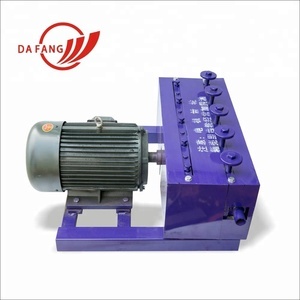 Produce machine by our experienced team according to customer requirement. 4. Provide customer operation manual or Video for machine to help them operate machine more efficiently. 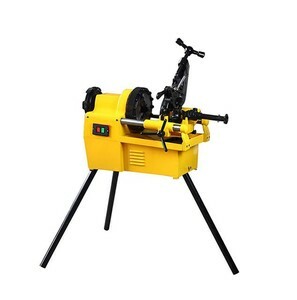 1500W SQ50D Portable Electric Pipe Threader /Pipe Threading Machine 1/2" To 2"
Alibaba.com offers 678 portable pipe threading machine products. 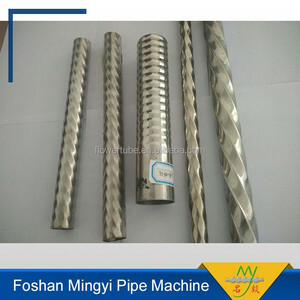 About 44% of these are electric pipe threader, 15% are thread rolling machines, and 5% are other metal & metallurgy machinery. 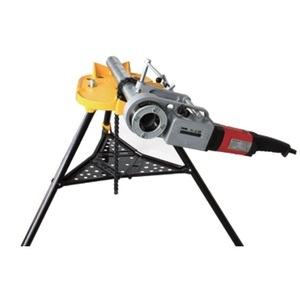 A wide variety of portable pipe threading machine options are available to you, such as free samples, paid samples. 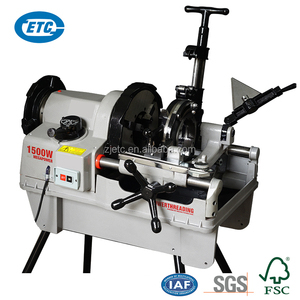 There are 677 portable pipe threading machine suppliers, mainly located in Asia. 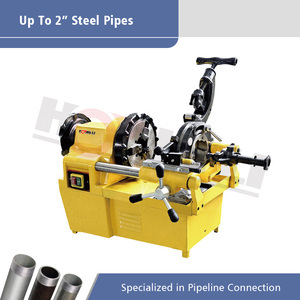 The top supplying countries are China (Mainland), India, and South Korea, which supply 98%, 1%, and 1% of portable pipe threading machine respectively. 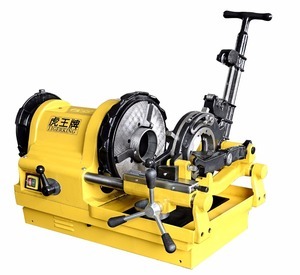 Portable pipe threading machine products are most popular in Domestic Market, North America, and Mid East. You can ensure product safety by selecting from certified suppliers, including 333 with ISO9001, 23 with Other, and 14 with ISO14001 certification.